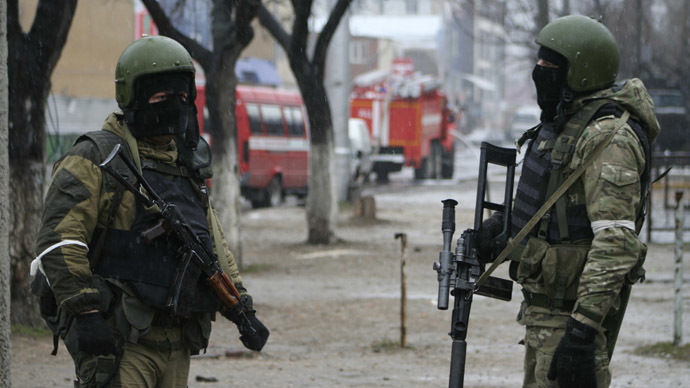 Russian security services have killed five militants during a special operation in the southern republic of Ingushetia, including a local militant leader. Artur Gatagazhev, also known as 'Abdullah', was among other militants killed in Ingushetia's village of Sagopshi during a special forces raid, the National Anti-Terrorist Committee (NAK) reported on May 24. 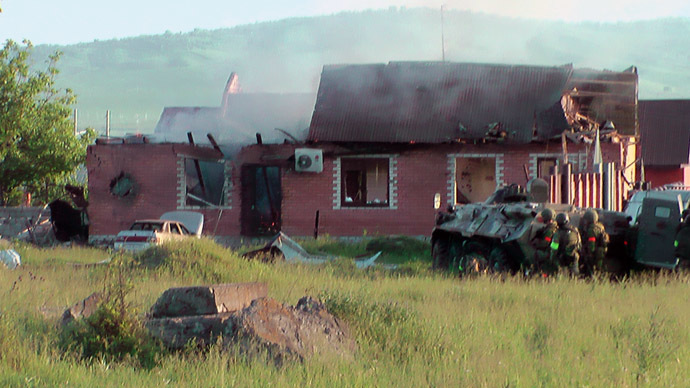 Gatagazhev has been a terrorist leader in the republic of Ingushetia since June 2013. His gang committed numerous headline-making crimes and terrorism acts, having killed civilians, civil servants, police and FSB (Russian Federal Security Service) officers, as well as having extorted money from local officials and businessmen. NAK reports that the militant gang was involved in the shooting of Ingushetian Security Council secretary Akhmed Kotiev in September 2013. Gatagazhevwas also behind explosions involving suicide bombers in Sagopshi at a police officer’s funeral in August 2012, which killed eight and had left 15 people injured, NAK said. The FSB forces blocked the house where the militants were reportedly hiding. When ordered to put down arms, the militants opened fire. After a three-hour firefight five of them were killed, one of whom was later identified as Artur Gatagazhev aka 'Abdullah'. Seven units of fire arms were found in the house, along with self-made explosive devices, a so-called suicide-belt among them. 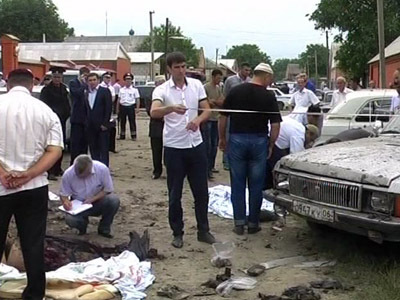 The killed militants were planning to organize a terrorist act on June 4, during Republic Day celebrations, Ingushetian President Yunus-Bek Evkurov told Itar-Tass. "When the gang was preparing this terrorist attack, the law enforcement authorities managed to track them and their facilitators. The authorities then waited for the whole gang to gather in one place, and carried out a successful special operation," Evkurov commented.